Credit card: Likewise, you can use your credit card to pay for materials for smaller renovations. But be careful not to carry the balance for too long. Credit card interest rates can exceed 18%. Personal loan: With a personal loan, you pay regular payments of principal and interest for a set period, typically one to five years. You also have the option of a fixed or variable interest rate for the term of the loan. The interest rate on a personal loan is typically less than that of a credit card. Unlike a line of credit, however, once you pay off your loan, you’ll have to reapply to borrow any new funds needed. Personal line of credit: This is another popular choice for financing renovations. It’s ideal for ongoing or long-term renovations since it lets you access your funds at any time and provides a monthly statement to help track expenses. A line of credit offers lower interest rates than credit cards, and charges interest only on funds used each month. And, as you pay off your balance, you can access remaining funds, up to the line of credit’s limit, without reapplying. Secured lines of credit and home equity loans: These options offer all the advantages of regular lines of credit or loans, but are secured by your home’s equity. They can be very economical, since they offer preferred interest rates, but keep in mind that initial set-up costs including legal and appraisal fees usually apply. Lines of credit are typically limited to 65%, while home equity loans are capped at 80% of your home’s value. 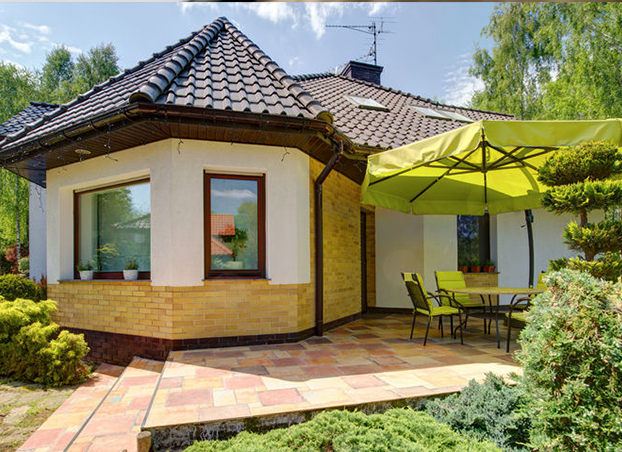 Mortgage refinancing: When funding major renovations, refinancing your mortgage lets you spread repayment over a longer period at mortgage interest rates, which are usually much lower than credit card or personal loan rates. This type of financing can allow you to borrow up to 80% of your home’s appraised value (less any outstanding mortgage balance). Initial set-up costs including legal and appraisal fees may apply. Financing improvements upon purchase: If you’re planning major improvements for a home you’re about to purchase, it may be advantageous to finance the renovations at the time of purchase by adding their estimated costs to your mortgage. Canada Mortgage and Housing Corporation (CMHC) Mortgage Loan Insurance can help you obtain financing for both the purchase of your home and the renovations – up to 95% of the value after renovations – with a minimum down payment of 5%. ecoENERGY Retrofit – Homes: grants of up to $5,000 to offset the cost of making energy-efficiency improvements. There are many ways to significantly reduce or even eliminate paying credit card fees. Conscientious cardholders can avoid paying most of these fees altogether when they choose the right cards and use them wisely. As always, if you have questions about paying your mortgage off quicker, or other mortgage-related questions, We’re here to help!